It’s hard to believe January is already over! 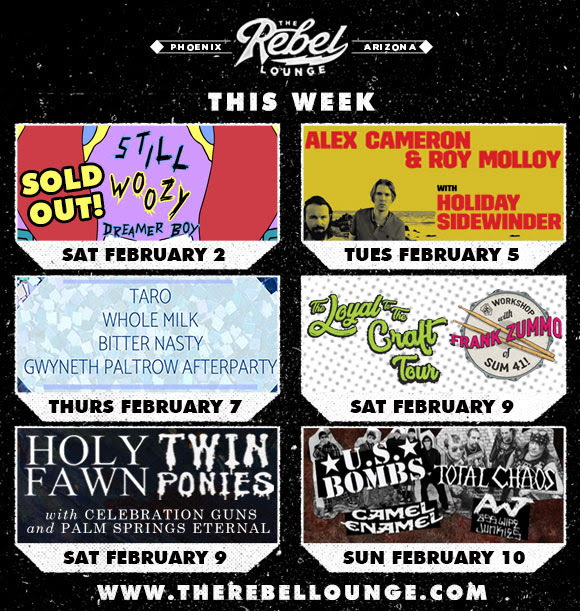 We had a very busy month with some great shows and of course 8123 FEST a few weeks ago! The fest was a blast and we have to thank our friends at 8123, Downtown Phoenix Inc, our staff and volunteers, and of course The Maine for helping us make it happen. The Noise did a great review of the festival – click here to check it out. Click here to see our video recap from the fest! 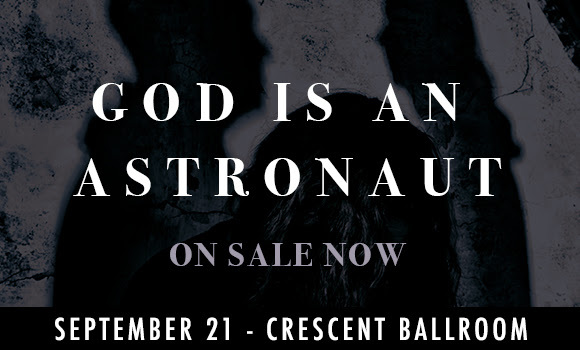 This week we announced a ton of great shows… GOD IS AN ASTRONAUT is returning to Crescent Ballroom, we’ve got WICCA PHASE SPRINGS ETERNAL headlining at The Rebel Lounge, JOHN VANDERSLICE heading to Valley Bar, the AZ debut of HER’S from Liverpool, and more. 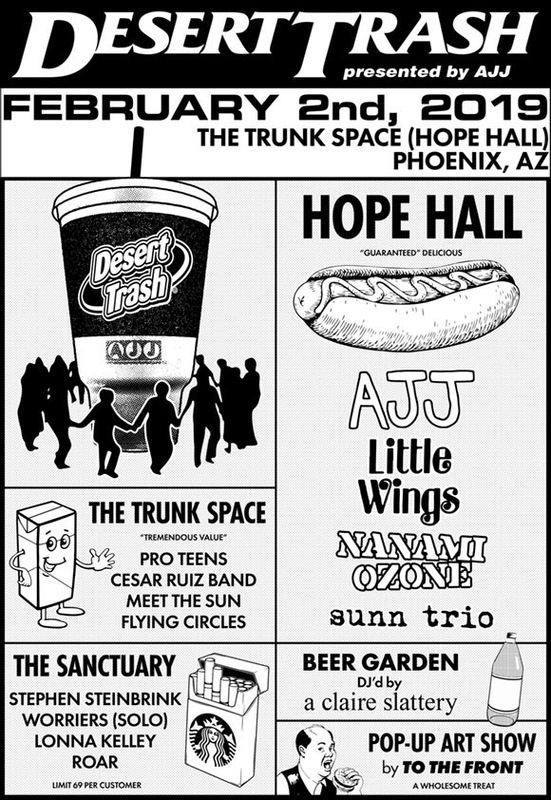 Last year our local pals AJJ presented the first annual DESERT TRASH show… and the party is back tomorrow at Trunk Space! They’ve got some great names on the bill this year, including Stephen Steinbrink, Little Wings, Worriers, Pro Teens, Nanami Ozone and more. 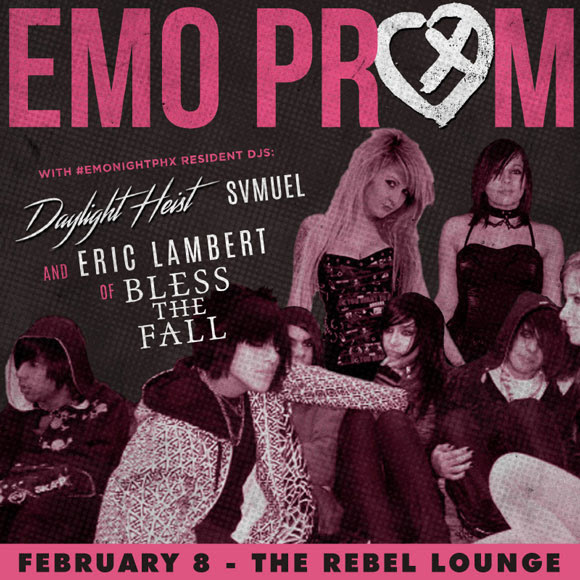 Check out DesertTrash.Party (best URL ever) for more info.